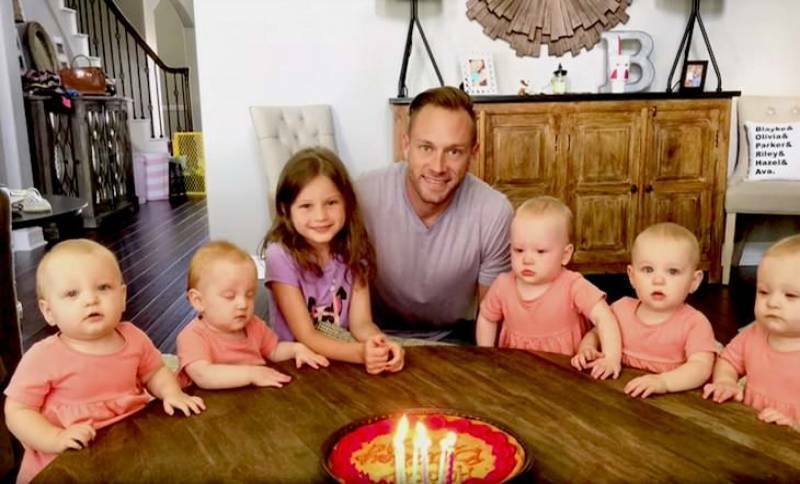 If you’ve never seen TLC’s OutDaughtered, allow us to bring you up to speed. Adam and Danielle Busby are two lovebirds who wanted to take the next logical step together and start a little nest together. That little nest, however, turned out to be a pretty big one. First came a little girl, Blayke. Then came the first all-girl quintuplets in American history. Ever wonder what it takes to raise five twins? Well, 40 bottles a day and 420 diapers a week. 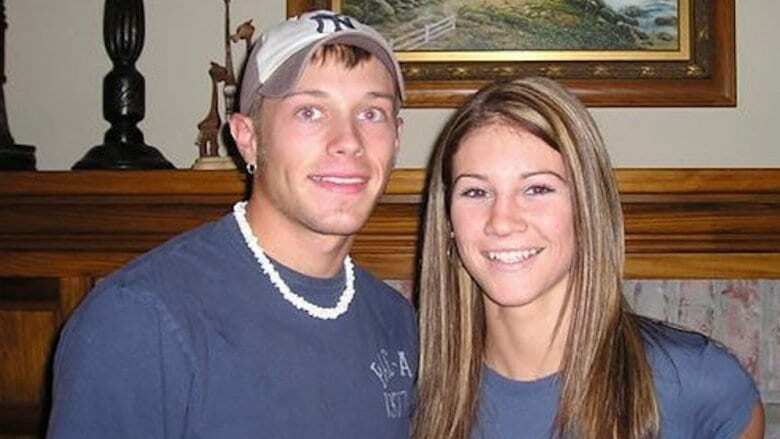 The Busbys’ life got a lot more complicated, but they wouldn’t have it any other way. Of course, living with five rowdy princesses also means that sometimes things don’t go exactly to plan, as you’ll soon see, when Danielle filmed her hubby blowing out birthday candles but got something else entirely. Any parent knows that getting your kids to do the exact same thing at the exact same time is as difficult as landing a shuttle on Mars with your eyes closed. “Man plans, and God laughs,” the old saying goes. 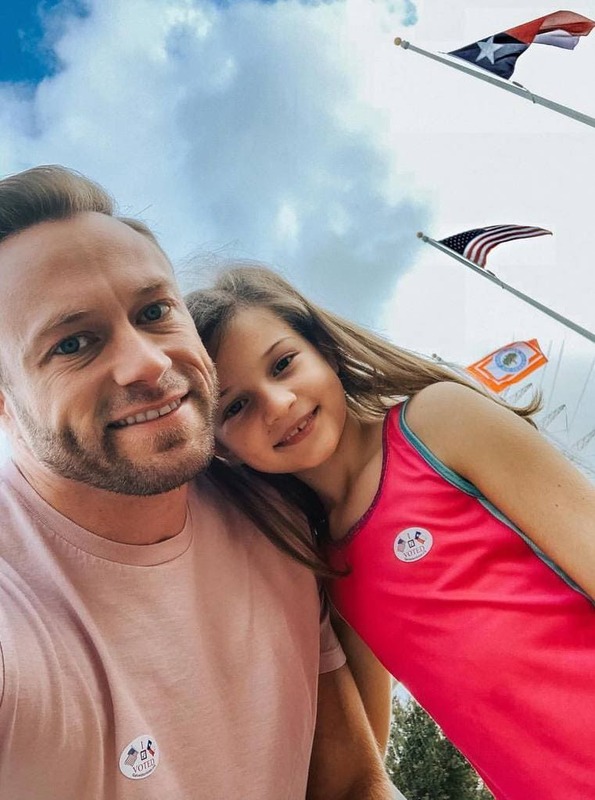 Here, though, it should be “woman” – OutDaughtered’s Danielle Busby, to be exact. 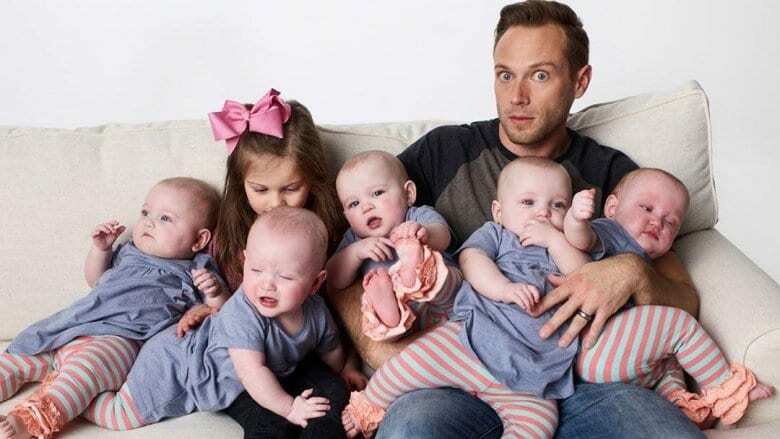 Together with her husband Adam, they’re the proud parents of one seven-year-old girl and a set of quintuplets. And the only thing Danielle wanted was to film everyone singing happy birthday to her hubby. God was certainly laughing… while someone else was doing quite the opposite. The hilarious full video awaits you at the end, and you can see for yourself why it went viral. June 10th, 2016, was Adam’s 34th birthday. 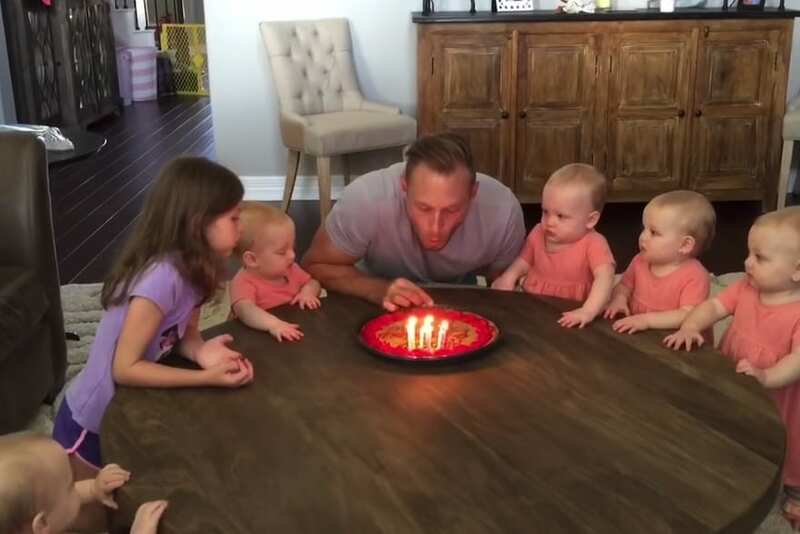 The Busbys were enjoying a double celebration that day, as it was the first birthday he got to celebrate with all six of his daughters at home. 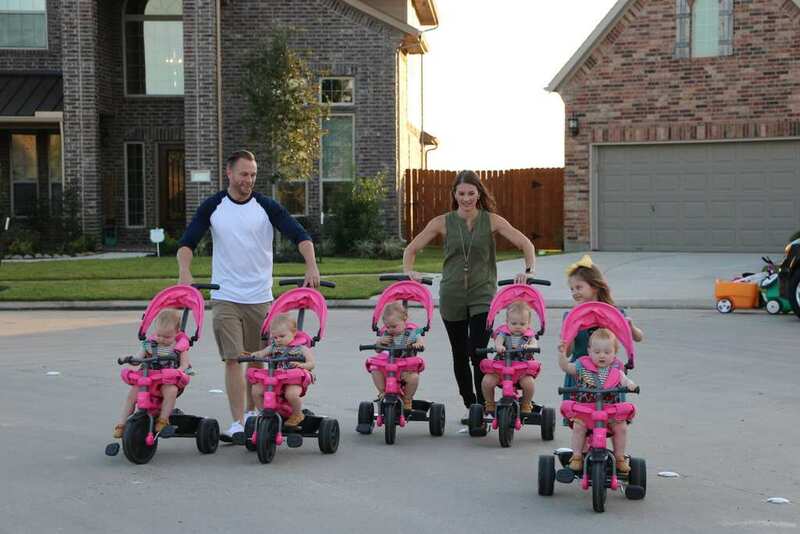 While the quintuplets were born in April, 2016, they were premature and spent the first few months of their lives in the neonatal intensive care unit of the Texas Woman’s Hospital. Despite being born healthy, they were kept for observation, with the first two twins born discharged just a day before Adam’s birthday in 2015. The remaining three, however, all missed it. 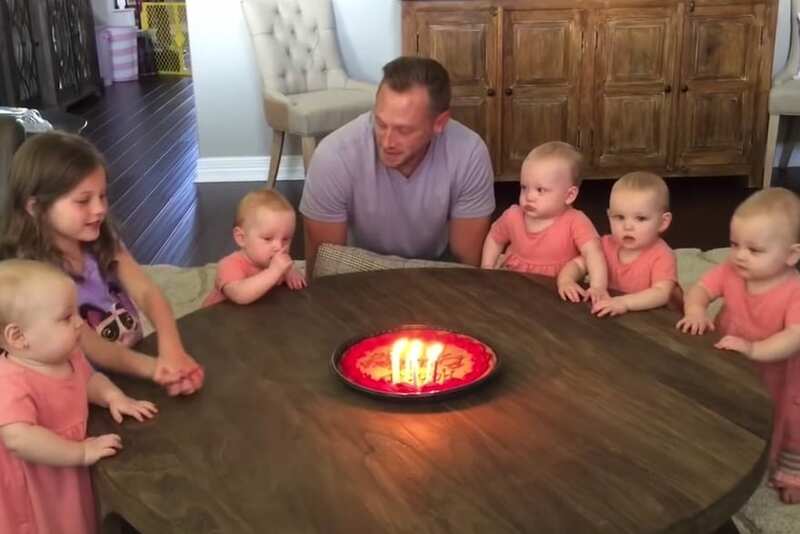 And so, for the first time as a family, they were all ready to watch dad blow out the candles on his birthday cake. No one could’ve guessed it would even get to that point, considering the beginning. Adam first met Danielle at Target. Actually, they’d both been working there a while – it just took several months for him to work up the nerve to talk to her! His first words to Danielle? “Hey, beautiful.” Smooth! Corny as he was, it must’ve worked, as Danielle agreed to go on a date with him. Proving again that he’s the biggest player in history, their first date was his sister’s birthday dinner, complete with Adam’s entire family. How Danielle didn’t head for the hills at that point is anyone’s guess, but she didn’t. They became a couple that same night, and were married three years later. As many young couples do, after tying the knot the Busbys began thinking about expanding their little family. It was time to become mommy and daddy Busby. However, they would soon discover this particular journey would be filled with more pitfalls than they had ever thought possible. Initially, they were both found to be infertile to some degree, and received medication to improve their potential. After several rounds of artificial insemination, they had finally succeeded conceiving, and their eldest daughter Blayke was born in 2011. They loved her so much that they knew they had to try again. Several more attempts at artificial insemination later, and Danielle was once again pregnant. This time, though, they were in for a surprise. In mid-2014, Danielle found out she was pregnant again. Proving that life wasn’t done throwing them curveballs, they learned something else. She wasn’t carrying one child. Not even two or three. No, Danielle was pregnant with no less than five babies! 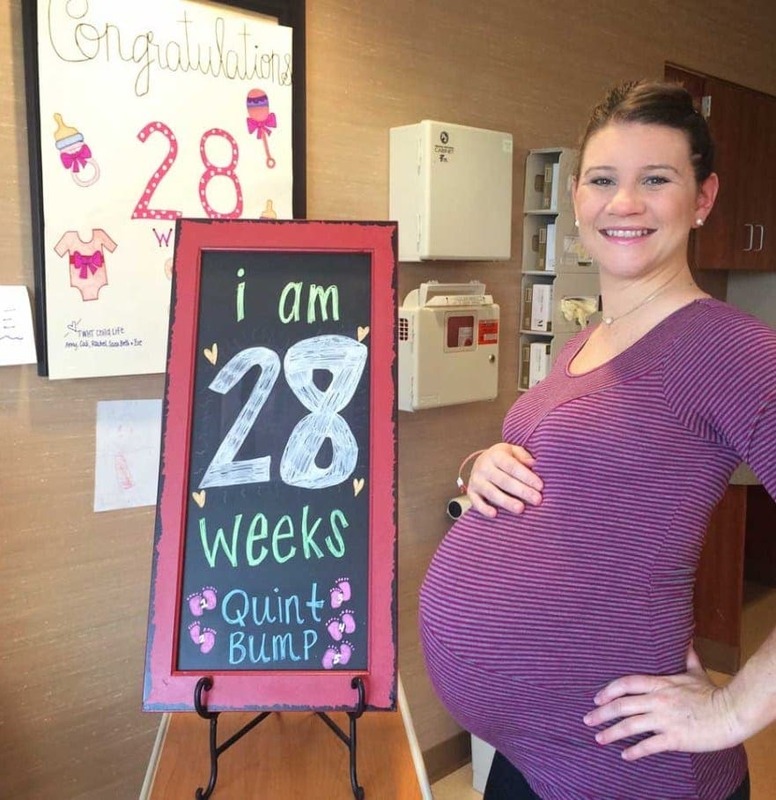 Any pregnancy involving twins is considered high-risk, so what about quintuplets? Not giving a thought to possible risks, the Busbys were overjoyed at the prospect of becoming parents to six kids after only two pregnancies. Then, on April 8, 2015, their lives changed forever. Even though she was only 28 weeks into her pregnancy, the twins must have decided they wanted out. 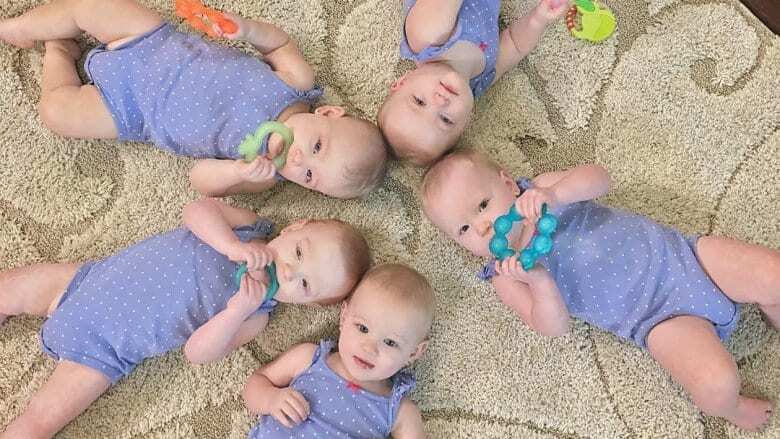 And out they came – Ava, Olivia, Hazel, Riley, and Parker – the first all-girl quintuplets in American history. If you think being the parents of one seven-year-old and five three-year-olds is rough… Well, you’re absolutely right! Life is a constant high-wire balancing act for Adam and Danielle both. Ava and Olivia, the first twins born, are identical. Hazel, Riley, and Parker, meanwhile, are triplets. Perhaps the biggest adjustment any Busby had to make concerned Adam. 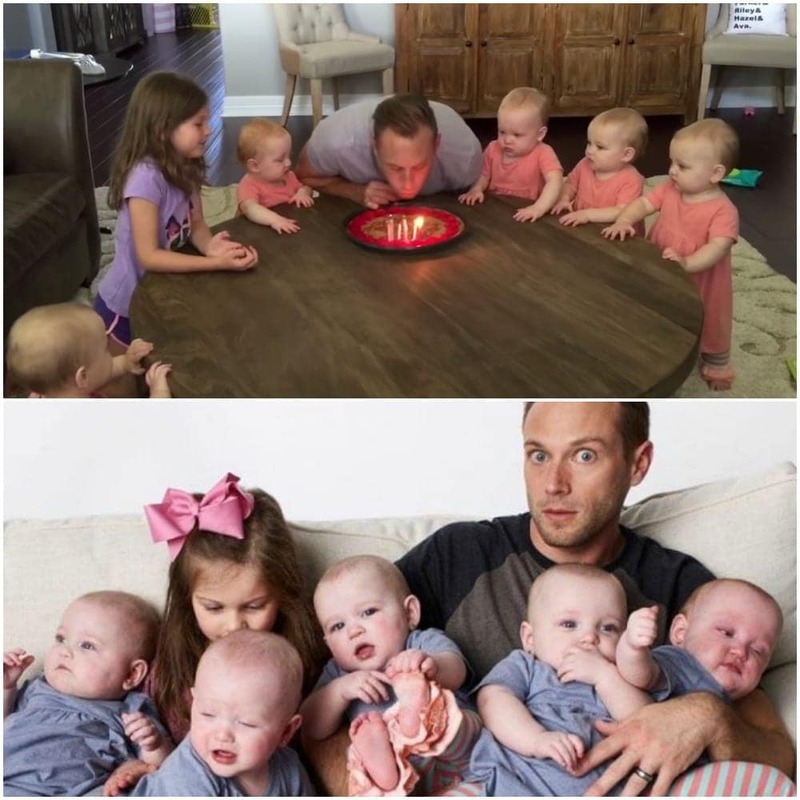 He went from having one girl to being… well, outdaughtered six-to-one! Learning how to contend with raising six little girls, there has been a learning curve, sure, but Adam has been more than up to the challenge. “I’m better with a round brush than Danielle!” he stated proudly. He’s also been gladly shouldering the burden of acting as the sole male role model for the girls, showing by example how they should expect their future man to treat them. In the past, Adam has struggled with postpartum depression. That’s not a mistake. Many don’t realize this, but it doesn’t solely affect mothers. He sought counselling that has helped him overcome it, and has been very open about it publicly. Displaying his humanity, he explained, has helped people realize even the folks on TV don’t have it all figured out. It was a struggle affecting parents all over the world, and so he wanted to shine a light on it so they don’t feel they have to hide it. And so, with everyone settled in at home, it was time for Adam’s birthday party blowout. The cake was ready. The candles were ready, even though there were considerably less than 34 – possibly to avoid reminding Adam how old he was getting. The girls – all six of them – were ready as well, surrounding their daddy around the table. To start with, Danielle led them all in a rendition of “Happy birthday to you,” for which she provided most of the vocals. Then, it was time for the big finale. It was time to blow out the candles. Adam did – eventually, with help from Blayke who saw her old man struggling and lent a hand. Then, for no apparent reason… one of the twins began bawling! The shocked look on Adam’s face is priceless, and it’s obvious he has no idea why she’s crying. Then, in an impressive act of sisterly solidarity, the twin next to her starts crying as well. “You don’t want daddy to make a wish?” Danielle is heard asking. What’s the point? His already came true.